eMR is a hot topic in the healthcare sector so now more than ever it is important to keep up to date with current trends both in software and hardware. The Health Informatics Conference which will be hosted at the ICC Sydney, 29 July -1 August is the place to learn about latest innovations in the sector. Hospital Products Australia will be exhibiting at booth number 58 and partner company MIMSYS Asia Pacific is the Gold Sponsor for the event in booth number 1. 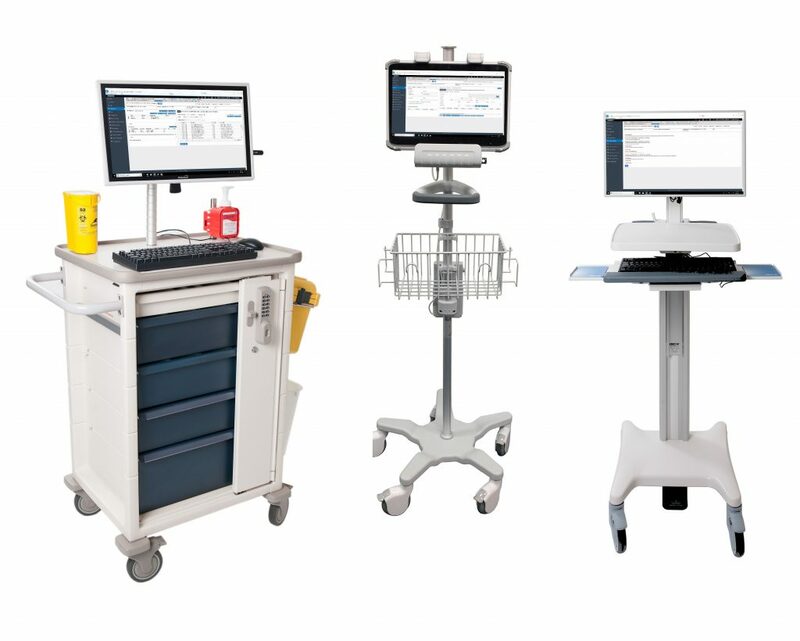 Together they can provide full eMR hardware and software for any healthcare environment. Health informatics is moving fast and future-proofing your facility is key to making the right decisions first time. Why broach eMR with multiple software applications? MIMSYS is a full end-to-end Hospital Management System that can be customised to steer each facility towards HIMSS Level 5 and beyond. First-rate software needs comparable hardware to provide a dynamic system. This is where Hospital Products Australia excels by integrating technology into work and rest spaces to enhance workflow efficiencies for clients and caregivers. Our range of slimline WOW’s, med carts, wall-mounted workstations, computers, and tablets are extensive and will suit any work area style or size. Visit HPA and MIMSYS at HIC and see how a unified solution can work in your facility.